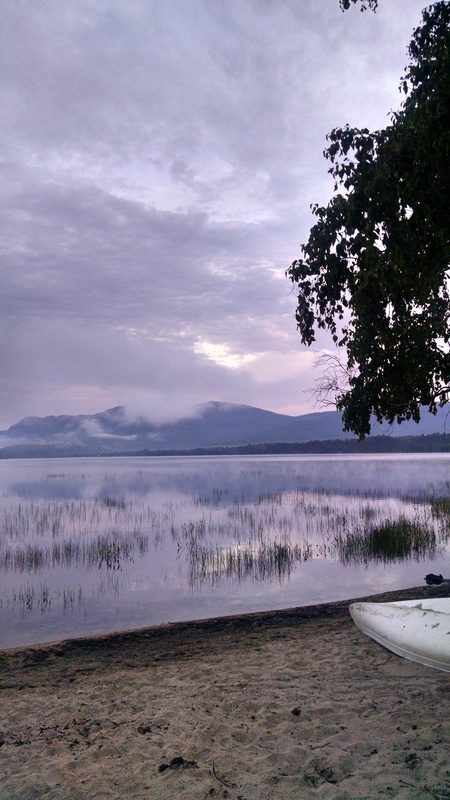 When I served on the Mount Vernon Conservation Commission in Maine, we had been charged by the Planning Board to recommend either authorizing or proscribing development along the boundaries of the dozen or so lakes and ponds that shared all or some of their shoreline in our town. The State of Maine legislature determined that the only way to change the ways of recalcitrant landowners, sometimes four generations into their titles on the land, was to force the issue by mandating that absent local zoning rulings by the Planning Board, all lakeshore was to be “resource protected,” which meant no development, no digging, no brush or tree cutting, no dredged sand to make it easier on swimmer’s feet, no septic systems, no camps, no anything. This served to give the local authorities some cover dealing with that contingent of land owners which held fiercely to the rule of ownership. Zoning was akin to usurpation, and land use regulations were the stuff of the politburo. Moose Pond, Taylor Pond, Minnehonk Lake, Hopkins Pond, Doloff Pond, Parker Pond, Flying Pond, Inghan Pond, Long Pond, Echo Lake, Torsey Lake. Each had some or all its shoreline in Mount Vernon, and each had to be assessed. Each one recalls pleasant memories. The Planning Board was elected; the Conservation Commission was not, so the heat could fall on us without repercussions at the polling place. The Planning Board would submit the zoning plan to the state, but the Conservation Commission would provide the maps. In a small town, it was a true town meeting democracy, and all who served on their boards and commissions were paid the same. Less than nothing because we all incurred some costs as well as donated sometimes significant hours of our time. So, if it got nasty, and we got fired, we were ahead financially. Few enterprises are as dedicated as unpaid volunteer labor, and we rose early on many weekends to study and map the soil types, vegetation and slopes of the land surrounding each of our clean water responsibilities. Eastern White Pine, Canoe Birch or Alder; Swamp Maple or Burr Oak. Each could tell a tale of its favored soil and how it may absorb or run off, how it would, in the parlance of the septic system builders, “perc.” Willows, River Birch or Silver Maple might indicate too much clay in the soil, so effluence would run off too quickly, would not “perc,” and a septic system might leach into the lake. Too steep a slope would do the same thing. We pored over topographical maps to locate shoreline of special concern. Too much organic matter from run off, be it from human or farm waste, could prompt algae blooms or promote growth of invasive plants, choking off the healing sun, defeating aerobic natural cleansing, lowering oxygen levels and degrading the balance of the many species which dwelt in and around the lakes and ponds. If bad enough, it could kill the pond, turning it into a foul-smelling hazard. What was precious to life and beautiful to the spirit could be lost. Getting it right was important. Too many restrictions would be unfair to land owners and buyers of dreams with their waterfront year-round or vacation homes. Too few or missed frontage could mean ruin for the source of those dreams. We would unstrap our canoes from pickup truck or car roof and put them in early in the morning Saturday. The town provided us with good geodetic survey topographical maps that we would rely on for slope calculations. After our on-site inspections and map study, we would color code lakes with our invented zoning mark ups to present to the board. We’d crumple the soil in our hands, write notes on trouble signs like pipes running into the water from camps, notate streams, marshes and runoff to identify vulnerabilities to the complex ecosystems. While not professional ecologists, we had training in biology and forestry and did our best to accurately map them out in a good faith effort. While no money changed hands, there was more valuable compensation for the work. When intermittent rain puddled in low places and small dry streambeds bubbled to life, mist sometimes clung to the low hills – gossamer gray with persistent tendrils that unlike fast wind driven clouds remained as unchanging as a watercolor. Mothers and baby wood ducks ignored us if we were still, as did pairs of loons with their plaintive cries. The ducks and loons feed early among the reeds in shallow waters, as they, like serene, entitled nobility have ignored those that present no threats or promise no meals for millennia on these ponds and lakes. Occasionally a moose with similar disregard for human trespassers would wade into the water plants to graze, or perhaps swim a half mile across the pond without seeming effort to seek more promising forage. The flat still surface of the lake was broken only by a bullfrog jumping from its stone perch or a lake trout (called togue in Maine) or land locked salmon rising to surprise an unlucky water bug or dragonfly larvae. Although they prefer the abundant smelt, they are voracious eaters and, in the spring, when the water is still cold, these species will feed opportunistically near the surface. When a duck or a Great Blue Heron took wing to pursue some necessary purpose, the energetic beating was clearly heard as only profound quiet will disclose, yet the silence remained undisturbed.